This feature is available only in PRO version. To Get PRO version, click the below button and purchase. 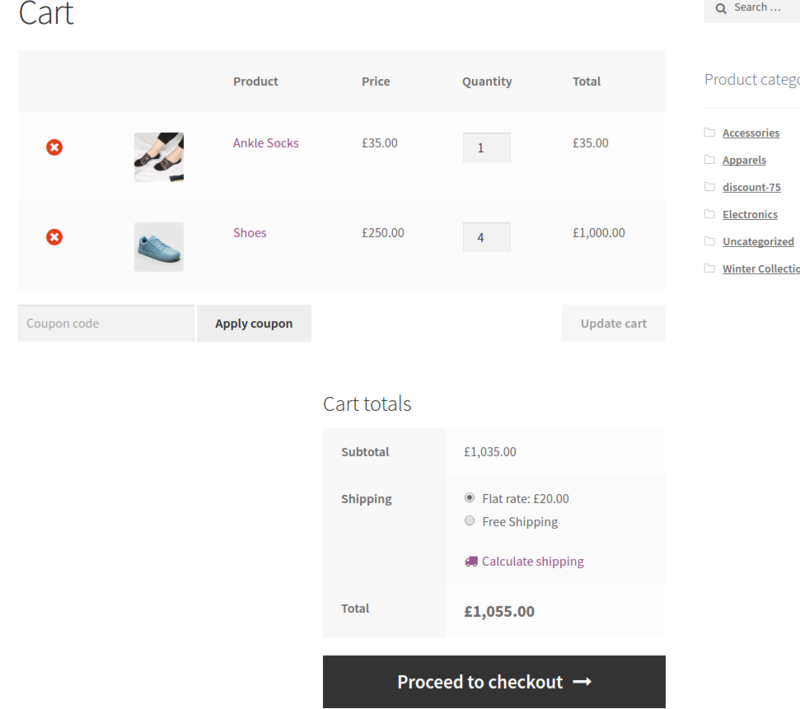 Using our plugin you can enable free shipping if specific conditions are met. 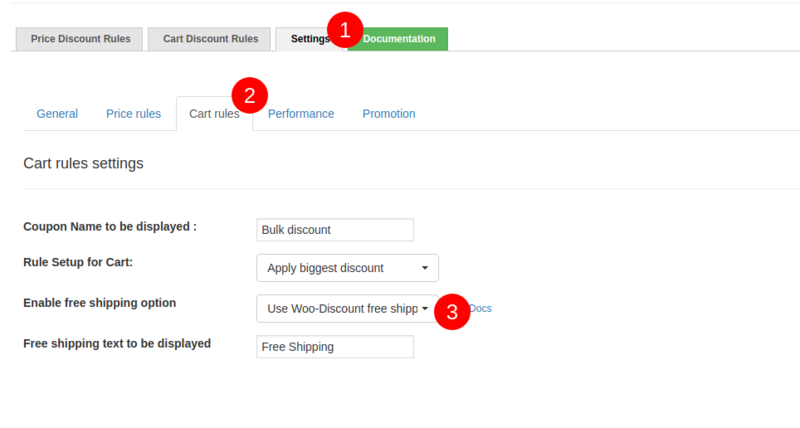 Let's see how we can do that..
Before you start creating Free shipping based rule, make sure if you have enabled the Free Shipping from the Woo Discount Rules -> Settings. Free shipping can be enabled only by creating a cart based rule. My conditions are when the cart subtotal reaches 1000$ or above, enables a Free Shipping in cart. Choose Free shipping in the discount tab. 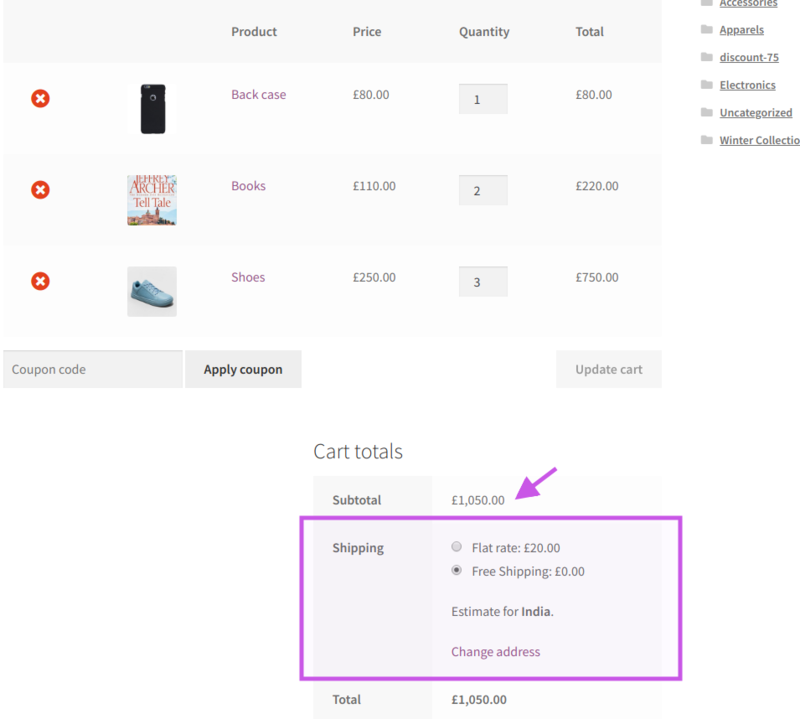 Here is the cart displaying the Free shipping when , the cart contains products from the category Accessories or apparels. Similarly, you can enable free shipping based on various conditions in the Cart based Rules. Like Using Number of Quantities in cart, Total number of line items in cart, When particular categories in cart, for particular User roles or users. You can also combine conditions with "AND" operations. For Providing free shipping based on a state, add the following conditions in the condition tab. Select the country from the drop down and enter your state. In similar way, free shipping based on specific city is also possible!! Just Enter your Billing city and select free shipping in the discount tab and you are ready to go.. Provide shipping only when the Cart satisfies the following conditions. Rule applies only only when cart subtotal is more than $1000 and with the category"Accessories". Similar free shipping rule can be created with many conditions from the cart. NOTE: When enabling Free Shipping for a particular Category A. Free Shipping will be enabled when Category A is in cart even when other products are in the Cart (Category B or C). It is not possible to disable Free shipping when other products are in cart. This condition provides, the free shipping only of particular User Groups. 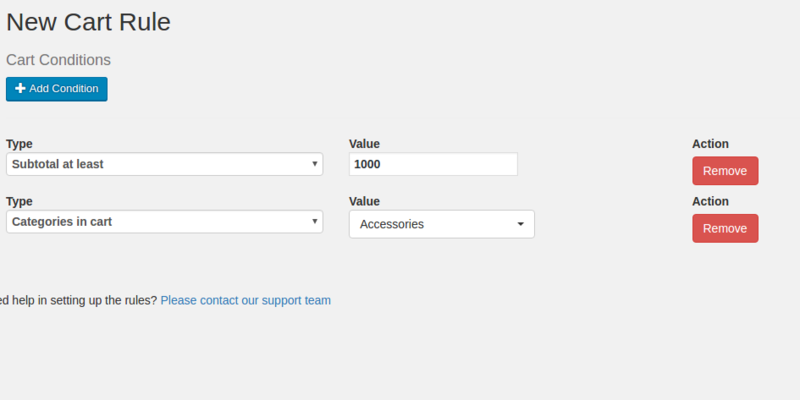 You can add more conditions too, for a specific User group you select like for example, For "Subscriber" and "Customer" (User roles), only when the subtotal of the cart is at least 500, provide free shipping. 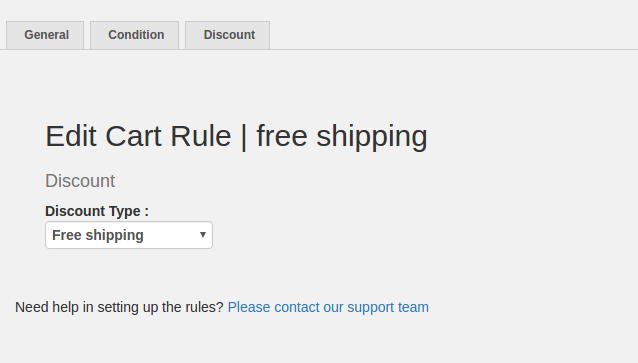 Likewise, you can also create free shipping rule for Specific Users in the list. So it will apply to only to those users. When cart rules based on "free shipping" is created, the free shipping option will be enabled along with other shipping methods. Currently, it is not possible to only show the "free shipping" option.